Geraldine and her husband Steve are a partnership consultancy in Waterways Assessment & Environmental Investigations. Geraldine has ten years experience an associate researcher for the CENRM (UWA) in the field of aquatic ecology. 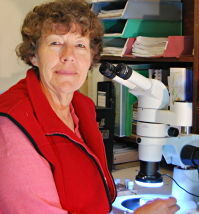 She has considerable experience and a broad knowledge of riparian and aquatic flora and aquatic fauna of both fresh and saline waterway systems on the south coast of Western Australia. She has hands on experience in the on ground management of projects for both consultancy and academia and has experience in applying the “Framework for prioritising waterways for management in Western Australia” developed in the Great Southern.